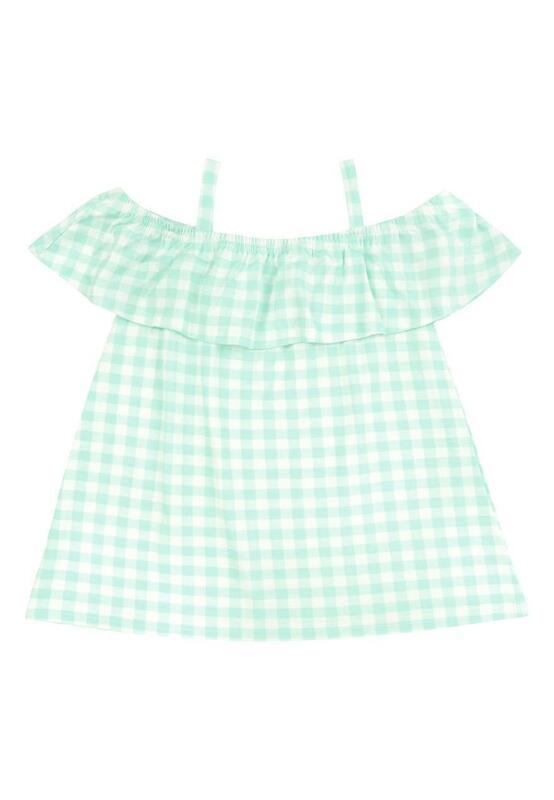 Gingham's are the trend of the season, and this bardot top is a style steal! 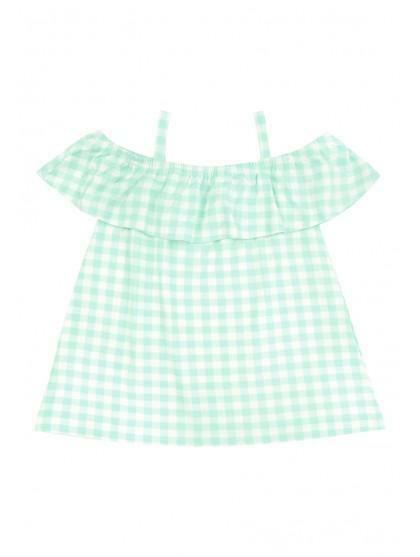 With an all-over light green and white gingham print, and shoulder straps this is a pretty piece to add to her summer wardrobe. Style this with a pair of cute white jeans and some clean, white shoes for a casual weekend look for her.